Revisit the Shipwrecked Series from Brad’s Point of View. I have posted the covers of the Shipwrecked/Climb to the Top/The Chronicles of Brad, Collection Series on the front page of my website. I am considering doing something different with The Chronicles of Brad cover (picture to the left) , but the picture of Brad will be the same, just a different background. I had created one some time ago with him on the beach, but forgot about it until the other day when I stumbled across it. Might revisit that one before publishing the series. I am still working on the collection. I spend Tuesday evening at my critique group meeting then we go to a 24-hour coffee shop and visit with other writers. Then on Wednesday morning some of us meet at another coffee shop and write for a couple of hours, so I am getting a lot done. I haven’t found a job, yet. I have applied for several, but haven’t heard anything. I am really hoping I don’t have to return to the hotel/motel business, but am getting concerned about running out of unemployment benefits before I find a job, so I might have to break down and see if there are any night audit positions available. I hope you’re having a good spring. Here we’ve had several days over the century mark and hardly any rain, so we’re back in a drought. Summer, of course, will be here Thursday, the 21st, so since it’s already been a hot Spring, I’m concerned about how hot Summer will be this year. We’ve had a few days already where the electricity has gone off in parts of the city for a few hours. Hope it’s cool where you are and you have a good Summer. I’ll keep you informed on the progress of The Chronicles of Brad. 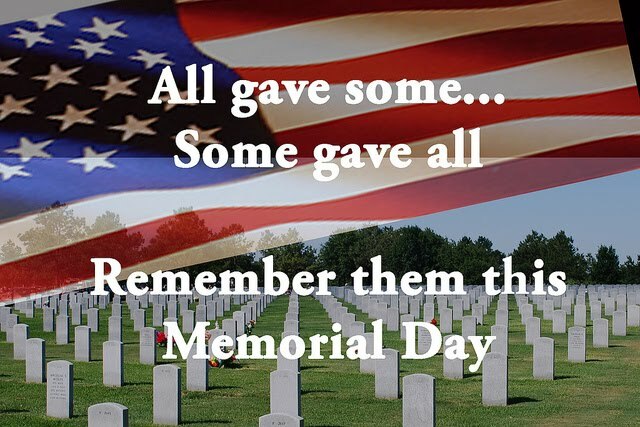 Here’s wishing everyone a Safe and Happy Memorial Day. I have just released “The House on Willow Creek Lane” 3rd Edition. I have decided that due to the length of “Birthday Surprise”, “Weekend”, “Just Another Day at the Office”, and “A Week’s Vacation”, I’m going to retire them for now. I may go back and redo them later, but right now I’m starting to concentrate on getting the “Shipwrecked/Climb to the Top” series redone and published. I have just released “The Cabin By the Lake”. I’ve also updated my website with links to the Amazon Kindle and the Smashwords versions. Although you can get the Kindle Version at Smashwords. Since my publisher returned the “Birthday Suprise”, “Weekend”, Just Another Day at the Office”, “A Week’s Vacation” and “The House on Willow Creek Lane” to me, I’m going to update them and get them re-released soon. She put all of them except “The House on Willow Creek Lane” in a collection, but I’m going to break them out as individual stories and re-release them as 3rd Editions. I’ll let you know when they are released. I hadn’t realized it’s been over a year since I posted anything here. I’m doing okay and have not fallen off the planet—yet. I’ve been staying very busy and haven’t had a chance or energy to look for another job, so I’m still working for Kelly Services on the AppleCare project. My publisher returned the rights to “Storm”, “The Birthday Surprise”, and “The House on Willow Creek Lane” to me last year. She did not answer when I asked if I could use the cover she made for “Storm”. I have tried to come up with another cover, but really like the one she had made, so I decided to use it. 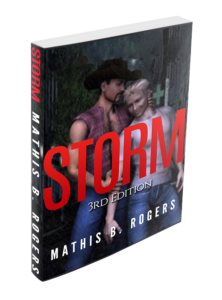 I haven’t done anything with “The Birthday Surprise” and “The House on Willow Creek Lane,” but released the 3rd Edition of “Storm” today. I am currently working on another adult story called “The Cabin by the Lake”. I have finished the first draft and hope to have it polished and published by next week. For those who have been “patiently waiting” I am planning to have the “Shipwrecked/Climb to the Top Collection Series” complete by October 2018. As you know, that will be Brad and Kris’ 24th anniversary. I hope you are staying warm. Our local rodent (Prairie dog Pete) said we were going to have another six weeks of bad winter, and several people have. I’m glad to say it got up to the mid-80s here today. But we’ll probably have another freeze before Easter. Take care and I’ll let you know when I release “The Cabin by the Lake”.